A disciple is a "learner" or "taught one." Jesus would have all learn from Him and obey His teachings. God's Word - the Holy Bible - is the key to learning from Jesus, for God uses the Scriptures to reveal Himself to us. Through the use of Bible correspondence courses our students learn to look to Jesus Christ and His Word for life and guidance. Emmaus Correspondence School began in 1942 to make the solid Bible teaching available to those who could not attend Emmaus Bible School in person. Courses are now available in 118 languages with over 800 distribution centers located around the world. In 1974 five men with a vision to reach the people of Missouri for Christ established the St. Louis center. Through the use of Emmaus courses, what was then a handful of students has grown to an active student enrollment over 2,600 students now in 218 prisons/jails. 1 in 3 people know someone who has been arrested or behind bars. We believe that if we can reach the person incarcerated then he/she will reach out to their family and friends with the Gospel. We can literally change the world through our prisons!!! 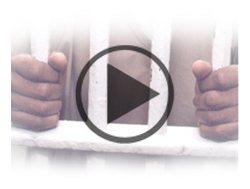 Set Free Ministries serves inmates in prisons and jails in Missouri and Illinois. These incarcerated students account for the majority our enrollment, but we also serve students from the general public through our domestic ministry. Nearly 36,000 courses were sent out in 2016 and just over 28,000 were graded. Our desire is to make the Emmaus road to Bible knowledge available to everyone.